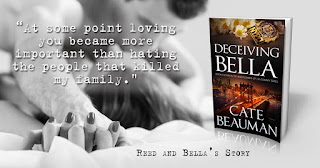 This is the third book by Cate Beauman that has landed in my inbox for a review. While many author's style and books become repetitive , I can not say that for Cate atleast. First thing , the plot and the thrill was much more in this book than the last two I read. 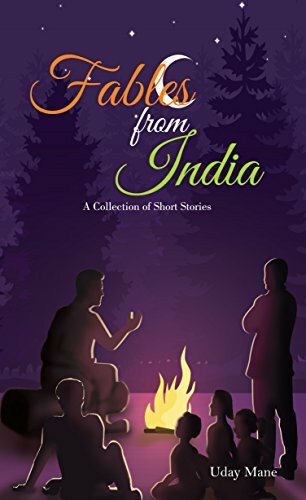 I definitely loved the story in this one. And some how , this was a little away from a perfect characters and setting. Bella has finally laid to rest , her past and the stigma associated with it. But she can not stay away from trying to locate his father and when she does that , she is not ready for either the truth or the dangers she has knocked the doors of. Reed , after a near death experience walks away from his job and settles in LA to a good job and a house next to Bella. Never did he think that the answers he been seeking all his life would be so close to him yet to hard to get once he is involved with Bella. The chemistry between the two is very casually built and based on being friends , something that I liked. The other cast in the book is given good space and time to develop and be known to the readers as we close in on the final. The romance is a little off the mark compared to the other books I read but one will totally appreciate the way it is build up and handled in a very natural manner. As both Reed and Bella come to terms with their truths , the feelings expressed are very heartfelt. I like the "Bodyguards of LA"series and so far , I will readily read the other books that I have missed in the series. Ultra Short Review of Ruchita Misra's 'I Do, Do I? Ruchita Misra’s ‘I Do! 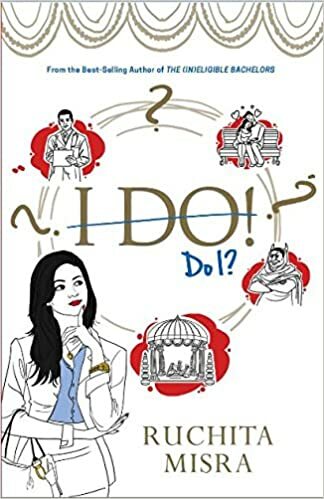 Do I?’ is her follow up to her ‘The Ineligible Bachelors’ which apparently became a ‘National Best-Seller’ .The In-eligible Bachelors was an okay work and though it pretended itself to be a satirical take on Indian Marriages, the book was nothing but pure-unadulterated desi chic-lit. ‘I Do! Do I? is kind of a sequel to ‘TIB’ and traces the events happening in Kasturi Shukla’s life after her marriage has been fixed with Dr Purva Dixit. To give credit where it’s due, I sort of enjoyed the first 170+ pages or so (of this 300+ page book), but after that, the book started getting repetitive with the jokes falling flat, the female protagonist behaving more and more stupid and nothing much really happening in the story line.The climax chase and the supposedly hilarious finale is nothing new and is only what we have seen in a dozen rom-com Bollywood flicks.Ruchita’s writing is plain,with a few hilarious one-liners here and there and the book is clearly aimed at those urban readers who just want to read an over-long, predictable, generic, desi chic-lit. I’m giving it a 2.5 out of 5. It’s not as boring as ‘One Indian Girl’, but not that great either.